PRAGUE – Czech lawmakers are drafting an amendment to the Republic’s existing law on organ transplant tourism. The initiative follows recent discussions in the parliament about condemning the persecution of the Falun Gong spiritual practice by the Chinese communist regime, and organ harvesting from prisoners of conscience in China. 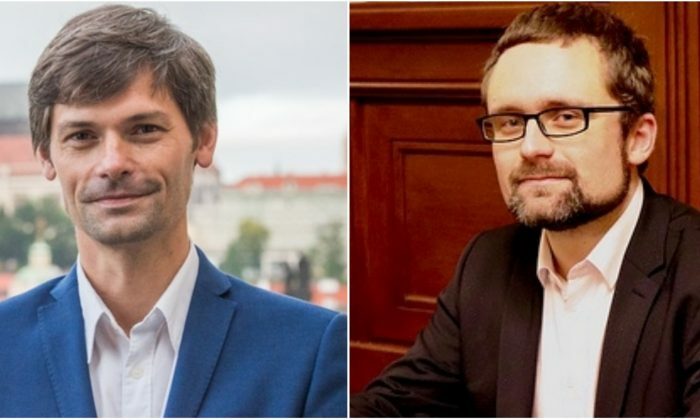 Member of Parliament (MP) Mikuláš Peksa (Piráti) and Senator Marek Hilšer (independent) are taking the lead in preparing a draft of the new organ transplant tourism law and they have until June to complete the task. In a press release published on Jan. 14 on the Czech Pirate Party (Piráti) website, Peksa said that talks on the issue of organ transplant tourism have been taking place in the past few months. “In short, it is about going abroad to get an organ from a poor man who sold it voluntarily—that’s the best case scenario. But in the worst case, the organ was taken from someone without his consent. In this business, China is number one—it trades with the organs of the prisoners literally on an industrial scale,” said Peksa, who is also vice-president of the Pirate Party. Discussions were held during a public hearing on Nov. 19, 2018 in the Senate of the Czech Parliament about the forced organ harvesting of prisoners of conscience in China, and the inhumane treatment of adherents of the Falun Gong spiritual practice, a meditation-based discipline that has been severely suppressed by the Chinese regime since 1999. Members of the Pirate Party are concerned about the abuse of prisoners of conscience in China, and are prompted to take action. According to sources from The Epoch Times, the party has been tackling the issue by requesting a lot of information from government sources, human rights organizations and independent experts. “It is a public secret that China’s booming transplant industry is the result of taking organs from political prisoners and the Chinese communist regime makes money from this. If we can not directly influence these crimes, it is our moral duty to adopt legislation to combat organ transplant tourism. If we act against the illegal trade of animals, then we must not tolerate trade with human organs,” said Hilšer in a press release on Jan. 14. Hilšer studied medicine and international relations at Charles University in Prague. In 2018, he ran for president under the slogan “the future depends on us.” Although Hilšer lost the presidential election, he was elected to the Senate of the Parliament. Hilšer said his primary goal is to serve the people. The inspiration for an amendment to the transplant law draws, among others, from the Canadian bill S-240 currently being discussed by the Canadian lawmakers. Like the Canadian bill S-240, the Czech version should prevent individuals associated with illegal trafficking of organs from entering the country or to require organ recipients to provide proof that the organs they are receiving were obtained from a voluntary donor, according to Euro.cz, a medical news website. Other countries have also prompted Czech lawmakers to adopt such a law. Organ transplant laws were adopted by Spain (2013), Taiwan (2015), Italy (2016) and Israel (2006). Recently, Australia is considering the introduction of a new transplant law. The European Parliament passed a resolution in 2013 and the U.S. House of Representatives passed a legislation in 2016—both condemning organ harvesting from non-consenting prisoners of conscience and religious and ethnic minorities, particularly adherents of Falun Gong. In China, since 2006, a number of experts have mapped a sharp increase in transplants and trafficking in organs from the prison system, which according to experts, continue to this day. The findings of the research have not yet been validated by court. According to a number of experts, witnesses and medical staff, however, some religious and ethnic groups are persecuted and imprisoned in China and their vital organs are harvested in modern transplant centers. And the Chinese regime is behind the abuses. The mass killing of Chinese prisoners of conscience for their organs is well documented in the investigative reports “The Bloody Harvest” and “The Slaughter” and other reports by the non-governmental organization WOIPFG (Word Organization to Investigate the Persecution of Falun Gong), and ETAC (International Coalition to End Transplant Abuse in China), which is made up of a group of lawyers, academics, ethicists, medical professionals, researchers and human rights advocates. The amendment to the organ transplant law is supported by former Minister of Culture Daniel Herman, bioethicist Jan Payne from Charles University in Prague, the Czech Helsinki Committee (CHC) and former Human Rights Commissioner Monika Šimůnková. Herman encountered the issue of the persecution of religious believers and ethnic minorities in China during his tenure as director of the Institute for the Study of Totalitarian Regimes in Prague. He has also personally met with authors and experts who have compiled the investigative reports about China’s transplantation industry. “I fully support the Senate’s initiative to create a resolution against organ tourism. I am convinced that the example of Israel, our close ally, is very inspiring and that we could follow their lead,” said Herman at a public hearing in the Senate on Nov. 19, 2018. Payne has looked into the unethical practices of China’s organ transplantation industry. He supports the adoption of the law on transplant tourism and in raising public awareness of the issue. “… Many people in the Czech Republic simply don’t believe in it ….We won’t change Chinese politics, but it would be good to talk about it a lot … so that those who don’t believe it now … come to believe that the reality truly is so ghastly,” said Payne in relation to a statement about cases of using transplantation surgery to liquidate dissidents and prisoners of conscience in China.